Have you ever stopped to appreciate the awesome size of a single mountain peak? If you assume that every cubic foot of the truck could be used to haul away rubble then its dimensions of 48 feet in length, 29 feet in width and 24 feet in height mean it can, with one load, carry away 33,408 cubic feet of stuff. That’s awesome. Let’s also make the assumption that each of these trucks will show up at the base of Mt. Whitney, and costlessly be filled in no time at all, and will not smash into other trucks on the road. In a year, this would mean that 105,120 such dump trucks could haul away material from Mt. Whitney. 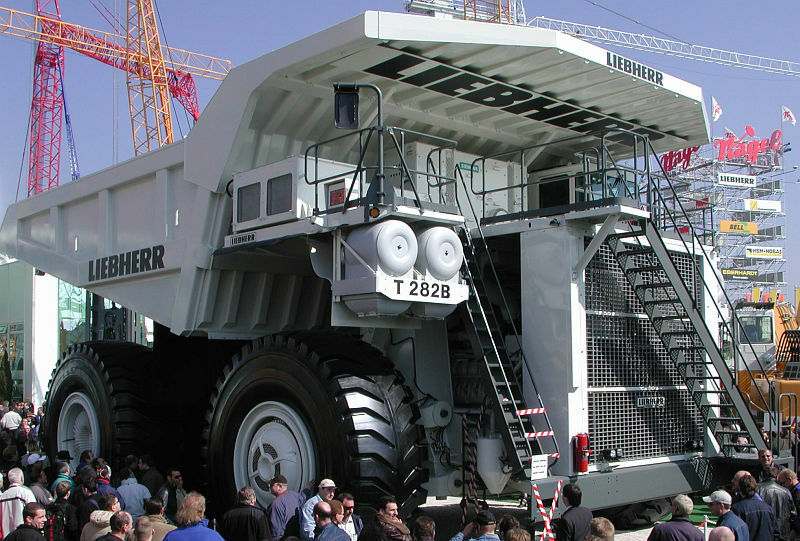 These trucks would be able, in total, to haul away 3.51 billion cubic feet of Mt. Whitney. How long would it take to eliminate the mountain? A heckuva lot longer than you think! Assume that the mountain is a perfect cone, and that the base of Mt. Whitney is a conservative 10 miles in length (or 52,800 feet). The elevation of Whitney is nearly 15,000 feet, but its prominence (how high it rises from its base) is only 10,080 feet. The formula for the volume of a cone is pi * r^2 * h /3 (my equation editor is not working), so the volume of the exposed part of Mt. Whitney is pi x 26,400 x 26,400 x 10,080 /3 = 7.36 trillion cubic feet of stone and dirt. Putting the above figures together, costlessly loading the world’s most powerful and largest dumptrucks at a rate of one truck per 5 minutes would take us 2,095 years to completely extract the viewable part of Mt. Whitney. This one single mountain peak in the middle of one single mountain range in one small part of the world. The implications are many. Obviously, the physical size of the Earth is enormous almost beyond comprehension. I think looking at too many satellite photos of the planet make us believe it is far smaller than it really is. Second, once one recognizes that the earth, from the middle of its core to the upper reaches of its atmosphere is nothing more than a mass of chemical elements, the magnitude of material that is potentially extractable is beyond the scale of any meaningful human time period. 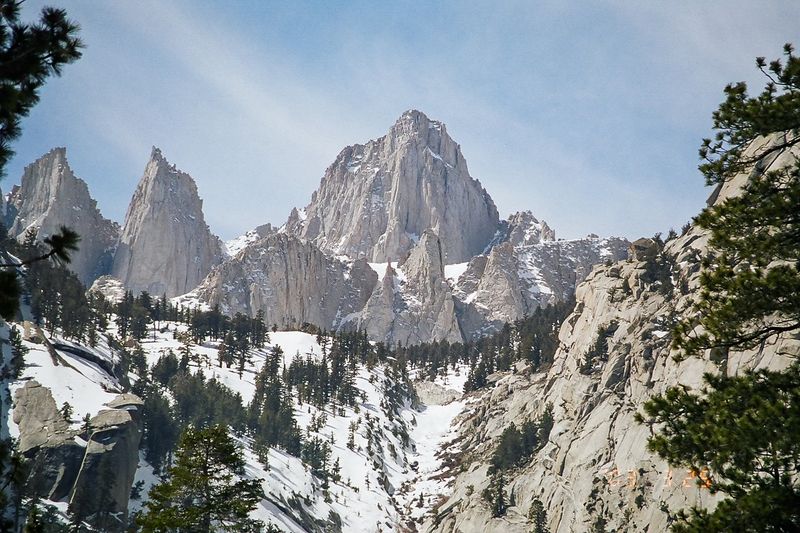 Mount Whitney is only the 81st largest mountain by prominence in the world. Thus, even if we started mining the 100 largest peaks at the same rate as the Whitney example above, it would take us at least 200,000 years to extract the mountain prominences alone. That would leave the entire remainder of the planet untouched, including every other mountain peak. Not that I think there is likely to be an infinite supply of every “resource” we would ever need, but I offer this for a bit of perspective. Or consider this: the total volume of municipal solid waste generated annually on the entire planet is likely to be around (caution: I am working on computing a much more accurate figure) 54 billion cubic feet (the U.S. produces roughly 13.5 billion cubic feet, and since they are about 1/4 of the world’s GDP, I estimate that they generate 1/4 of the world’s garbage, though this is likely an overestimate). We could take all of the garbage produced by the entire planet for the next 545 years and fit it all into the space left behind by the former Mt. Whitney. Or put it this way, if instead of trying to bury our trash in a hole we simply used it to build a mountain, we could continue generating trash at the same rate we are today for the next millenium and still only have produced two mountains the size of Mt. Whitney. Again, we could put those in the middle of North Dakota and scarcely a person on Earth would know they existed. Of course, for those who worship at the altar of Gaia, making these monuments to garbage would be a little like the problem we have in Omelas. And please do not send me a thousand e-mails telling me about all of the groundwater seepage, pollution, etc. involved with the MSW issue. That is not my point, I am simply making a point about the physical volumes we deal with as human beings on this planet. If the folks from Dubai can build islands from nothing in the middle of the Gulf, then I am starting to think that some entrepreneur may find it a good idea to start building trash mountains for real. This is even more enlightening when you consider that that the actual capacity of that truck is 363 tons, which would permit a maximum load of about 3,900 cf of pure rock (which the mountain probably is), so it would take roughly 9 times longer to actually to remove the mountain than your projections indicate. Certainly, trash is less dense than pure rock, but not 1/9th the density, so these estimates are clearly very conservative. Last year BP officials had the impudence to say that in comparison to the volume of the Gulf of Mexico, the quantity of oil “gushing” from the ruptured well was substantially inconsequential in the long run. The effects of the spill were not as bad as had been predicted. While some of it reached the shore and covered marine life and beaches, most of it sank to the bottom. The economic effects of the spill were greatly magnified by the actions of the government: it took a while for the fisheroes to be allowed to operate again, and tourism was certainly affected by the news of the pending catastrophe. And the government put a stop to deep water drilling in the Gulf, sending drilling rigs and jobs elsewhere. This is a big country and a big world. So many public policy makers live in cities and suburbia, so they don’t appreciate the vastness of wilderness areas like one finds in Alaska and the middle of this country. Jonah Goldberg wrote an excellent column about a decade ago about drilling on the North Slope, which many people consider to be a “pristine” environment. Immediately upon disembarking from his plane, mosquitoes alit on all the exposed parts of his body, including the insides of his nostrils and ears. The landscape apart from the drilling platforms was barren and bleak, more like the moon than the earth. If anything could be called a wasteland, that was it. The oil drillers were restricted to a tiny part of that tundra, and they were required to take all garbage out by airplane. It was not at all like a Walt Disney scene of plentiful bighorn sheep and caribou frolicking in a field of wildflowers. Indeed, the reindeer are continually under attack from mosquitoes, bot flies and other flying parasites that drive them nuts until the snow flies.